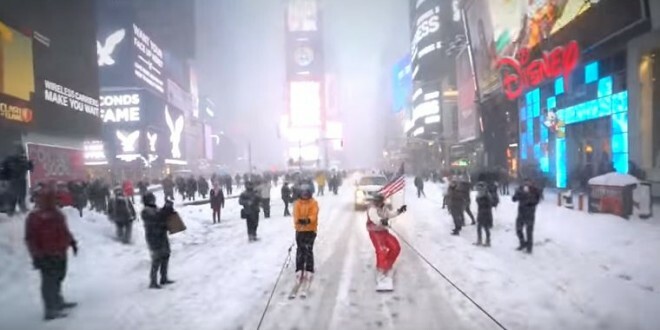 VIRAL VIDEO: Snowboarding In Manhattan - Joe.My.God. Going viral today is the below clip of a couple of guys being towed on snowboards last night through the streets of Manhattan. Somehow they were not arrested by the NYPD, although the cops did speak to them at least once. Watch below.